Matters are coming to boiling poins at United as another outrageous defeat at the weekend has made this one against Valencia arguably the biggest test of the campaign so far. Speculation surrounding José Mourinho’s future has sky-rocketed in recent days and that is no surprise given the turmoil at the club since last season, while Marcelino is also struggling to recapture his side’s form last time out. It could be a huge turning point in the season for both teams. One to watch: Gonçalo Guedes – a winger or inside forward blessed with excellent ability on the ball and frightening pace, the Spanish side made the 21 year-old Portuguese international’s deal from Paris Saint-Germain permanent in the summer for a club record fee of £36m (with a reported £270m release clause). The lack of character within the dressing room at both the London Stadium and Carrington has come under question this week with players being accused of not playing for the badge. It is unclear whether Diogo Dalot, Antonio Valencia or even Matteo Darmian will play at right back. Victor Lindelöf was hooked around the four mark at the weekend and could be replaced by Eric Bailly for this one. Substituted along with Antony Martial, Paul Pogba might be guaranteed a place on the teamsheet with Fred and Ander Herrera fit to start. Rested winger Alexis Sánchez should return to the squad given his freshness. 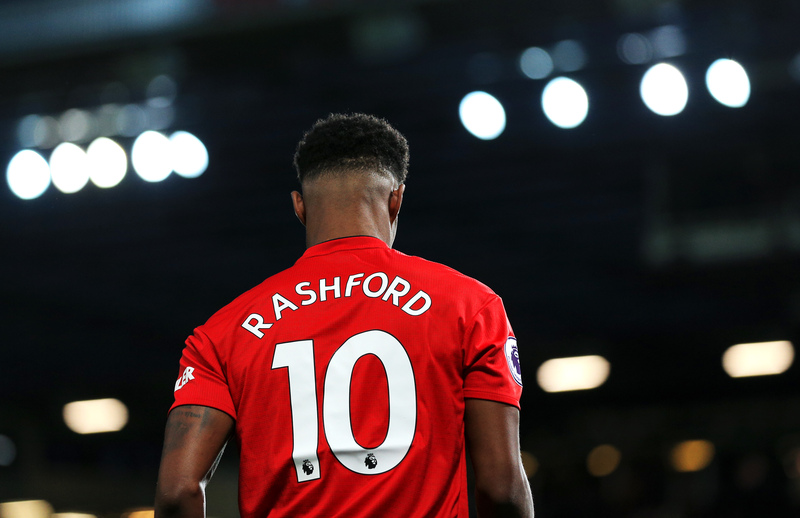 Marcus Rashford was arguably the only player on the pitch to come away from the Saturday’s match with any pride as his well-taken goal gave United some hope which means he is likely to play in this tie. Juan Mata may feature against his former side.